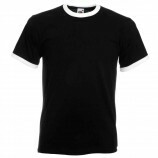 Contrast t-shirts are a great style item and give that something extra to your wardrobe. 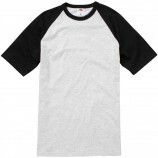 With great brands like Fruit of the Loom, Gildan, Kariban and B&C lining Best Workwear's shelves you are sure to find t-shirts that suit your needs and your tastes. Browse the garments below and remember personalised embroidery and printing are an available option.